CHCI Vice Chair, Univision Communications Inc.
Ron Estrada is senior vice president of Corporate Social Responsibility & Community Empowerment for Univision Communications Inc. (UCI), the leading media company serving Hispanic America. Based in Washington, D.C., Estrada is responsible for developing and nurturing strong working relationships at both the local and national level with community organizations and key stakeholders, including business, non-profit and government leaders. He directs CSR initiatives for network and local media teams representing 126 broadcast and radio stations throughout the US and Puerto Rico. In addition, Estrada serves as the executive director for the Univision External Advisory Board and CSR Internal Council. Prior to Univision, Mr. Estrada was a member of the executive cabinet and vice president for the National Council of La Raza (NCLR), the largest national Hispanic advocacy and civil rights organization in the nation. Under his leadership, Ron was responsible for the oversight of the Resource Development, Marketing, Communications, and Information Technology teams. Prior to NCLR, Mr. Estrada was the vice president of Marketing for the U.S. Hispanic Chamber of Commerce (USHCC). 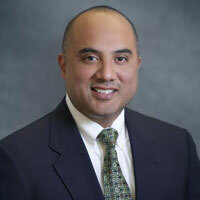 Mr. Estrada serves and has served on various boards including, the Univision Foundation, Congressional Hispanic Caucus Institute, Marriott International Association Advisory Board, National Park Foundation’s American Latino Heritage Fund, League of United Latin American Citizens Corporate Board of Advisors, and MGM Resorts International Diversity Board. Mr. Estrada is a graduate from the University of Redlands and resides in Fairfax, VA with his wife and two sons.